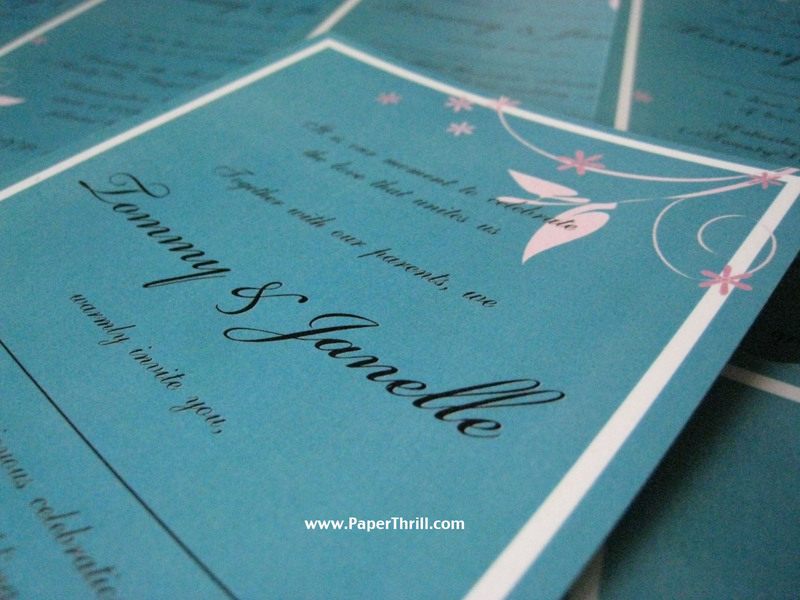 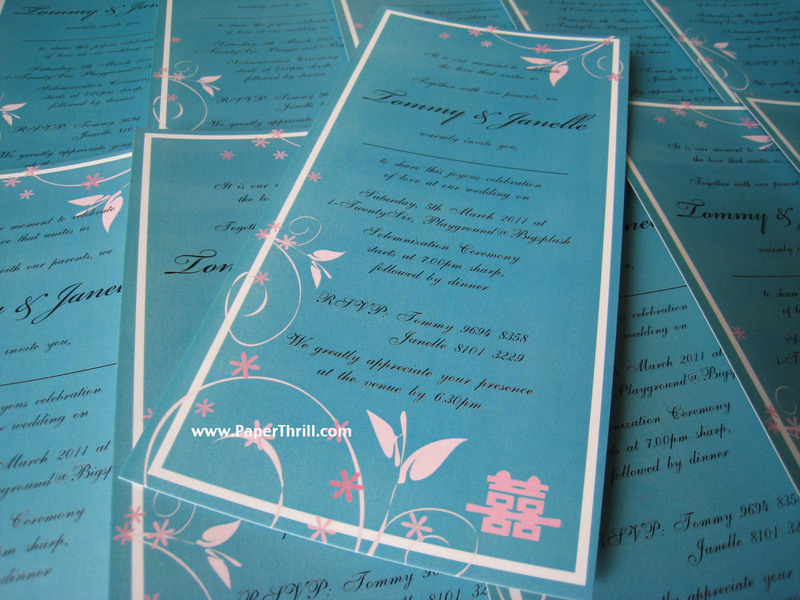 The colour tiffany blue have garnered so much popularity in weddings, thanks to the famous jeweller Tiffany & Co. Janelle, our bride from Singapore wanted to incorporate the colour into her wedding cards. We came up with a few designs and she chose something with a bit of traditional elements. 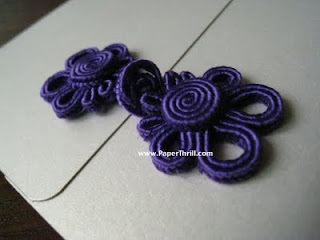 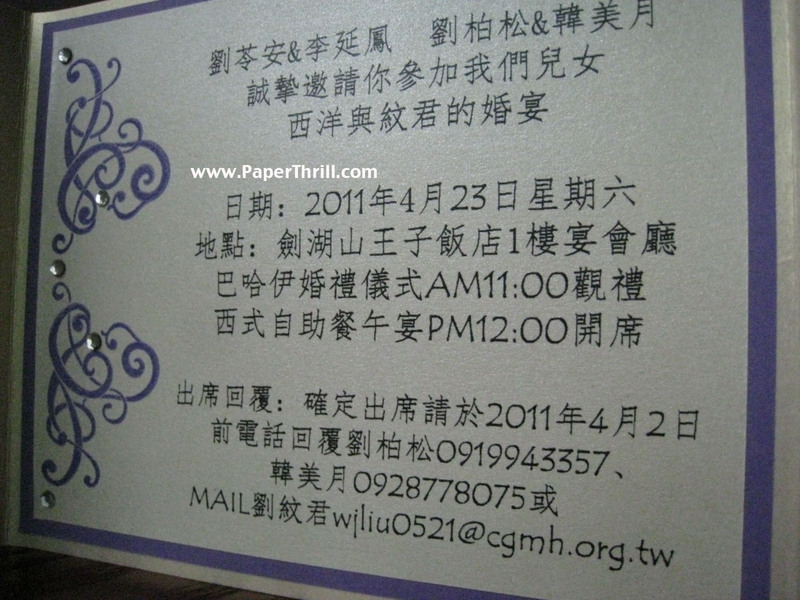 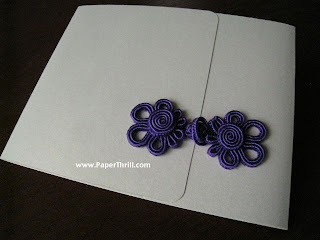 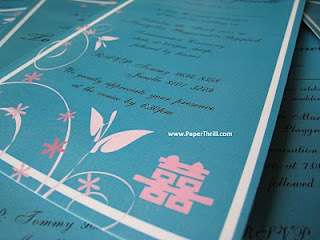 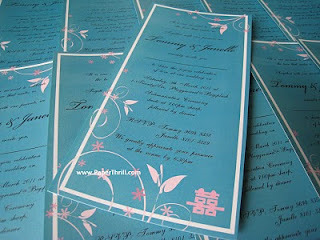 The pink chinese 'Hei' which means double happiness and some pink flowers added some contrast to the card.